Russia became the largest country on Earth by frequently expanding its territory over the course of centuries. Sometimes the country grew peacefully by incorporating neighboring nations, but other times military force was needed. Here are two of the longest and most problematic conquests faced by Russia. In the early 17th century Polish troops captured the Kremlin, and a Polish king aspired to the Russian throne, but by the next century the situation had changed dramatically. The Polish-Lithuanian Commonwealth was severely weakened by constant internal political instability, and was easily manipulated by foreign powers, including Russia. In general, the tsars were satisfied with the status quo because there was a powerful pro-Russian party within the ranks of the Polish nobility. However, other neighbors - Prussia and Austria - were pushing for Poland’s partition, and in 1772 Catherine the Great went along with these plans. Partition was not a lasting solution, however, and instability followed the second partition, leading to a powerful Polish uprising in 1794 under Tadeusz Kosciuszko, the famous general who fought alongside George Washington in America’s War of Independence. Historian Andrey Burovsky pointed out that challenged by three major European powers, Poland was like a teenager confronted by adult men. Kosciuszko’s uprising enraged the Russians after the massacre of the Russian garrison in the Polish capital, Warsaw. 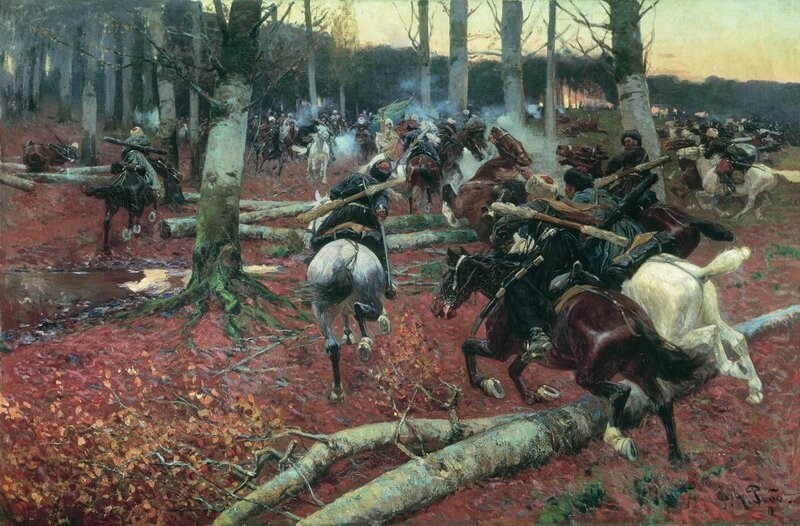 On the Thursday before Easter in April 1794 Polish revolutionaries unleashed their anger on Russian troops. “The Poles rushed everywhere where they suspected Russians might be, and killed them. They killed not only Russians. It was enough to point to someone in a crowd and say that he was pro-Russian, and he would be killed,” wrote 19th century historian, Nikolai Kostomarov. Many unarmed people were killed in churches. Overall, about 2,200 soldiers and officers were butchered. On Easter day, a similar massacre occurred in Vilno (today Vilnius in Lithuania). 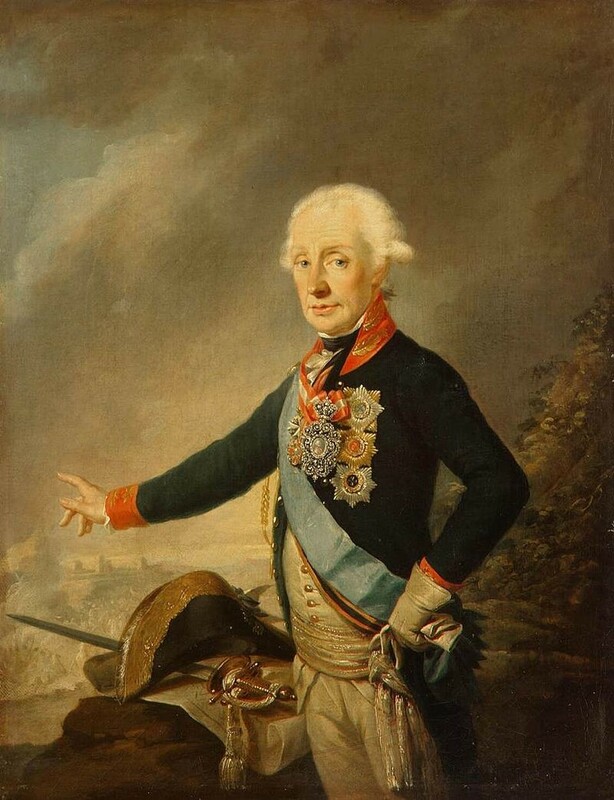 To suppress the uprising Empress Catherine summoned her finest military commander, Alexander Suvorov. Although his troops were outnumbered, the insurgents were defeated. Suvorov didn’t storm all of Warsaw, but only one district, which ended in many casualties as the Russians avenged the April events. Crushing the uprising was followed by the third and final partition of Poland, and the loss of Polish statehood for more than 100 years. The following century, however, saw numerous Polish uprisings intending to revive the country, and this gave the Russian Imperial administration constant reason for worry. The Caucasian War lasted for almost half a century, from 1817 until 1864. Three Russian emperors tried to achieve victory in the endless fighting. The goal to pacify the Caucasus region appeared in the Russian agenda in the early 18th century when Georgian princes asked St. Petersburg for protection against the Ottoman Empire and Iran. In the process, Russia also gained control over what is today Azerbaijan. In order to reach both Georgian and Azeri lands Russia needed secure routes across areas where the Caucasian mountain nations lived. At the same time, according to Abkhaz historian Georgy Anchabadze, “the geopolitical context was the sole factor that pushed Russia to go into the Caucasus region and then south to the warm sea.” He points to the importance of rivalry between Russia, Iran and the Ottomans for control over the region. But why was the war so long? First, there wasn’t a single conflict with the Caucasian mountain nations, but a whole series of wars with different sub-groups. Second, the culture of the mountain nations explains the long duration of the Caucasian War. Historian Yakov Gordin said the “war grew from the raid system,” or “raid economy,” which was quite common in the region at the time. Raiding Russian settlers and merchants was a major source of income for local tribes in an area where natural resources were scarce and land wasn’t fertile for farming. Historian Andrey Burovsky added that as time went by raids became a part of the local way of life. 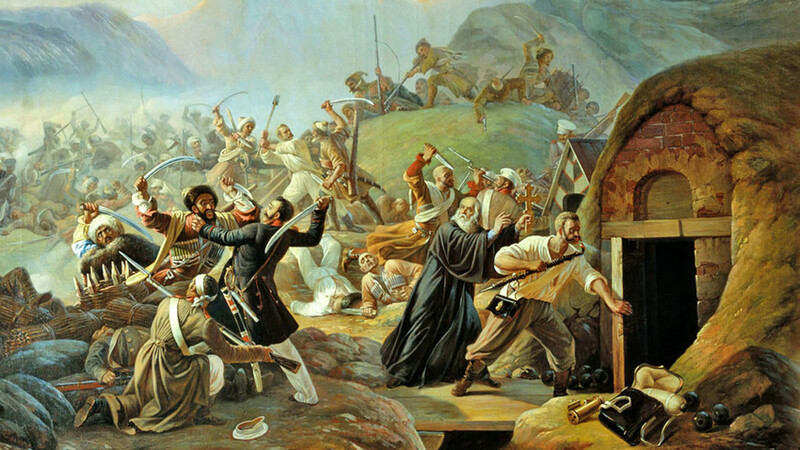 Imam Shamil was the most famous Caucasian mountain tribal leader, and under his religious and political leadership the Chechen and Dagestani nations put up fierce resistance against Russian troops from the mid-1830s until the late 1850s. To achieve victory Russia put constant pressure, both military and economical, on the locals, such as pushing them away from the plains to the mountain valleys. It is argued that the war cost hundreds of thousands of lives on both sides. You can read more on Russian military history here.